Advocates for realistic, intelligent, successful financial solutions. 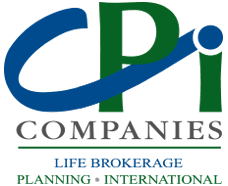 CPI Companies is an outspoken industry leader advocating for the benefit of our mutual clients. We are proud of our history of successful outcomes, outstanding client service, and attention to detail. We are your virtual back office. There is almost nothing we can’t do to make the process of selling insurance as stress free and successful as possible. Think of CPI as your personal “Concierge Desk”, providing responsive assistance with any aspect of your case.